I was playing the Halloween release a few weeks ago and had a thought: what would happen to guardians who go to the terror dimension? compared to the base classes the guardians use a separate type of magic than what mages of lore use and the terror dimension seems to contain mages already as evidenced by the pumpkinmancer armor and the witch and warlock dungeon bosses. My initial thought was that Eve would probably attempt to either copy or to assimilate the guardians once they'd entered her domain, corrupting and twisting them into slaves of her will. After coming up with some concepts I eventually drew up what I feel to be a solid concept for what a guardian would look like after being turned into a soldier in Eve's army. If we were able to customize a keyboard command, such as "Shift+U" or "Function+O" to equip something, it'd make things a lot better. The specific thing I have in mind is transformations; if I had a shortcut instead of having to go into the menu and select the shadow wolf or the horse mount, the game would be a lot more convenient and I'd be more inclined to use those tools. New Travel forms :Skateboard or Long board would be cool. plus more mounts who are also bank pets. PVP colisieum area with viewing stands for spectators. A quest to earn the sword given in the sanctuary much like the blade of awe quests. Guilds for certain class types. Mini games involving your other games like customizable mech battles or saber fights in mechquest to dragon fights in dragonfable. random events that teleport a player somewhere for fun side quests. larger dungeon raids requiring alot of players. different weapon archetypes with customizable animation stances for each arch type 2h swords duel wielding sword and shield. pet accessories for custom unique pets and character. armour is cool but an alpha knight class would be even cooler. I just have a simple request/suggestion. Please release a *blue* variant of the Eternal Chronomancer armor from the 2018 calendar. AQW did this through an AC version, which was free for people who own the calendar version. More than anything though, its just that the blue version looks very, very nice. I'd like to see it in AQ3D. I have a suggestion that would make aq3d a much more active game bring back the book of lore and give the player a sense of completion, if you release a new area with a quest line we finish that in what 1h? the addition of ranking up made it a little more enjoyable but i think we still would like some button that would show our rank in the different areas like in aqw, back to my idea i was thinking in book of lore having the areas all quests available all dungeons and a section for collectibles in each area imagine in darkovia the armor set the tree drops should be part of a collectible for 100% completion of that area and when you collect all the parts you should have a model where you can see the full armor set and this is just another suggestion make it like the badges shop in aqw whenever we wanna use that armor we can just like get i tback from the model instead of farming it all over again or wasting bank space cause farming a whole armor takes up a lot of space but this is up to the dev team, back to the book you could also add to the collectibles weapons, that way when people finish an area they could have something else to do there farming in a dungeon or a boss for the armor set or the weapon so they can complete that area 100% and maybe have an extra collectible section for legendary armors and weapons like the crimson staff of the abyss and those really rare drops! Just thought I'd drop by a CardClasher concept. With the Card game said to be coming back it would be a great way to promote it and hopefully sell more copies of the card game. Made it in a google docs, posted the full link to show it's safe to click and such. Something I think would be useful would be prioritizing areas for good and evil factions. A lot of people go nuts over aesthetic pieces, and having areas which are scaled to 5, with high quest requirements and/or items with high token requirements would encourage play long term. Focusing on the generic good and evil areas would allow you a base area to expand on over time with minimal upkeep aside from the occasional arm and a new quest every once in a while. Wow, its been almost 2 years since my first post here.. Anyways. There are still a few problems with the game's design (its flow, not the design in an artistic way) especially regarding items. With every new level cap comes the new best gear, and when you guys release them they are always in sets, all bundled up in one shop where you have to grind for certain items in the same areas over and over again. Its getting pretty dull. AQ3D just becomes a mindless grind after you finish the latest release on the storyline. There's nothing wrong with grinding though, its part of the game, but what really kills it is the way you guys present it. Its the same formula every new big release, "one crafting shop with the new best gear all bundled up in a set". A better way to approach this is to spread out the best items for example, level 20 gear all over the map, have different npcs in different areas handle the quests or whatever the "how to get this item" is, put some history behind each item, make us travel throughout lore to get these items, let us have an adventure, and not just mindlessly grind for something that will be replaced by better gears in the future when the level cap gets updated. I really hope the game gets a revamp/redesign before the full release. The quests are still the same everywhere, theres still the usual "click on x amount of glowing things around the area" quest, the "kill x amount of monsters" quest and a quest for the boss fight. You just get flooded by so much quests everywhere, and they are the same copy pasted thing with different stuff to kill, different stuff to get in different maps. It just burns you out. But I think AE finally found the answer to this (I hope they realize) in the Ashfall III release. We only had to do a few quests for the entire area up to Akriloth, and the quests dont have the typical structure to them, you can't even call them the usual AQ3D kind of quest (which is good). You go through the area, killing monsters, riding on a rock on top of a river of lava where dragons just come up to you, clicking on books, and all this for one quest, a checkpoint as the game would call it. Now this kind of quest doesn't feel grindey because you dont have to worry about how much monsters you have left to kill or how much stuff you have to do because the only thing you have to do is to go through the area. I understand that this is a "raid" or whatever AE wants to call it which is different from the usual areas that the game has but if you apply this concept of not having to do a lot of quests to complete the area, I think the game would be much better. We need lesser npc quests (the ones where you have to go back to the npc everytime you finish a quest) and more quests like the ones in Ashfall III. We need more variety. The Akriloth fight was just great. That is the kind of combat we want to see, it was just so goood (i cant stop getting hyped lol). Akriloth's AOE attacks is what we need more in combat, in classes, in other monsters, and maybe with other stuff in the future like turrets and cannons. Imagine if the Warrior's and Mage's ultimate skills were ground targeted AoE instead, I'd imagine we'd have a scenario where players will ask for stuns from their comrades so they can land their ground targeted AoE spells, then players will have to get used to their classes because skillshot is now involved, actual skill is involved... we would have that kind of dynamic in AQ3D. I know I have said this before, but we want monsters to roam just like in the Nightlocke dungeons. It just feels dull when they stand idly at the same spot. Maybe you can't do this for every area but at least have some of them roam, especially on the areas that feel open worldy like Greenguard. I would like to see a change in camera functionality. Instead of having a dead mouse cursor on screen, can we see it integrated into a crosshair so that when we move to look around, we don't have to click and drag? I hope we get new running animation for our weapons. Its kinda silly looking the way we run with a giant sword swinging it like maracas. I suggest depending on the weapon type for example a giant sword the females or even the males can rest in it in the shoulders when we run. Its 2018 I think its about time to break the AQW barrier on running animations. I would like to see a morph gauntlet. Where we can toggle through our morphs and having our primary morph selected. To activate by the click of one button. Housed in the right hand top corner of the screen. Every Time a player receives a drop the game checks to see if they didn't get a certain drop from the pool, if they haven't increase the chance on next drop for said item to drop (y'all can choose by how much), so that way people like me can finally get drops that shouldn't take months to farm. I would be very grateful and I'm sure a lot of others would too, and to ensure its not game breaking increase it by like 0.5% each time or something like that so you still have to grind just not nearly as bad as someone like me. Option for smaller menu that shows more stuff. Here's an example of a PC UI done right. Movable/customizable menus would be cool (such as rearranging the main menu buttons. I have to scroll to reach settings). Option to adjust in-game mouse sensitivity (so I don't have to change it in Windows every time I play (I have a large monitor but low DPI mouse)). Standard PC shooter controls (while out of menus, or toggled off with a key) would be awesome. This means 1st person mode or unlocked camera axes for 3rd person mode. If, possible, zoom a little less when talking to characters. It's disorienting and showcases the bad graphics, which both hurt immersion. Preview items in inventory, like in AQW. /help chat command should exist. Click/tap away from menus to escape them (same as clicking/tapping the red X. Maybe shouldn't apply to main menu, just the pop-ups). Display map names somewhere. They're inconsistent and it's hard to /join. Colorblind option for inventory text. I can't tell Awesome from Epic or Uncommon from Legendary. Let players fall further through the lava in Ashfall. It'll look much more realistic when they die. Rename "spells" to "skills" (A warrior power-attack is not a spell). Fix the description for Unenchanted Frogzard Claw (says 130%, should say 120%). Buff Guardian class/dragon. It's slow, requires marks to be effective, and is the weakest class overall. The heal is also weak and doesn't give it a solo niche like AQW ArchPaladin. The Guardian Dragon is also the worst Ultimate, which is opposite of AQ classic. I'm glad you're trying really hard to make the game not pay2win but Guardian is seriously weak. Guardian blade cape would be very easy to add. Make Akriloth's hitboxes smaller, or the animations bigger. Forced death is horrible design! Apparently training on the weak version of Akriloth makes this much less of an issue. Meh. Adjust invisible walls in Akriloth fight or make them more noticeable somehow. I've died too many times because the invisible walls stopped me from moving without reason. Frustrating. Do something about AFK leechers in dungeons (especially Akriloth challenge). Do something about loot being blocked by player/enemy bodies. Jack up the drop rates, especially on Akriloth. Something that big should NEVER drop just 1 scale. Worst of all, the scales sell for 0 gold, like a sick joke. I killed him 40 times and didn't get a single weapon. I didn't even get the armor (which wouldn't boost my stats either). And this is on a 5-10 minute boss! Absolute waste of time! This is on top of the difficulty of gathering enough people to fight him. I imagine it's even harder to play on phones. It's such a terrible boss it makes me want to quit the game. I wish I could get a refund. Games should never be a waste of time. Akriloth should drop hundreds scales (extreme version drops thousands), and you can use massive amounts of scales to craft his drops. A few of Extreme Akriloth's drops are now craftable for 20 Dragon Trophies each, though everything else must still be obtained through RNG. Let me hold more stacks or increase stack limits. Many rare items don't even stack to 10, so I'm forced to keep opening the shop again and again to sell stuff even though I have plenty of inventory space. Dark Glowing Skull is an example. Allow Crimson Staff of the Abyss to open the portal to the Abyss. Make it possible to rank up Vault Security WITHOUT playing in a dedicated group of 5 for several days straight. Reduce potion cooldown? BTW some endgame content is IMPOSSIBLE without potion spam. My allies die left and right and I'm forced to keep chugging to maintain our progress in tough dungeons like lava run. The end result is that we literally can't afford to play the dungeons and they end up empty and impossible for everyone. You'd better make some kind of super-solo class like ArchPaladin or this will become a bigger issue as the game grows. More content only increases the inevitability of empty dungeons. This also affects powerful monsters like Legion Quaesitor. Even with 40 potions I couldn't beat him because the server lagged and wouldn't let me chug the 10th. So I just paid 810 gold for nothing. Frustrating. For a 39MB game, I think it looks fantastic! Can you guys add a tittle "KickStarter Legendary Founder"
Darches and I got some solid idea, add basically everything I've said and he said and the game quality goes up 200% on the spot. Also on another note, I wouldn't mind a Fox Head Morph. My suggestion is to add "Sigils", or basically costumes. Sigils are rare and can be accessed from the Armor Tab in your inventory after extensive farming (Or bought from Artix for quite a pretty penny). These costumes give no bonuses whatsoever and you can unlock a badge for each Rare Sigil you acquire, rarity being based on a star rating from 1-5. Some Sigils can go away for good, some can be added permanently and special costumes can rewarded from upgrading(To promote new and old players to upgrade if they haven't). I feel this could be an interesting feature in AQ3D and definitely requires some touching up. -Selling the Vanilla (normal) Morphs (transformations) for Gold, to please both Guardian and Standard players, I really think that it should be this way since I really see no point on why only players with Dragon Crystals can buy both of the Vanilla and Armored version of the Morphs and if this continue then it's clear that most of their "pets" can only be bought by Dragon Crystals . -Cosmetics having their own Inventory since they're taking unnecessary space/slots in your Main Inventory, since AE is now dishing out loads of Cosmetics in their "Events". -Having the titles that can only be redeem or unlocked when you buy one of their merchandise as a hidden Titles since it does bother me that you're gonna see Locked Titles in the Title Section that's in the Settings, now I am a completionist and of course I wanna have most of things done so seeing this will leaving me sitting in a corner whimpering and hey, not everyone has money to dish out like we're making 420K a month. -I actually want characters to sheet their swords on their backs or at their left hip when we're not engaging in combat, not everyday you're gonna be slaying enemies, sometimes we wanna hang out and relax right? 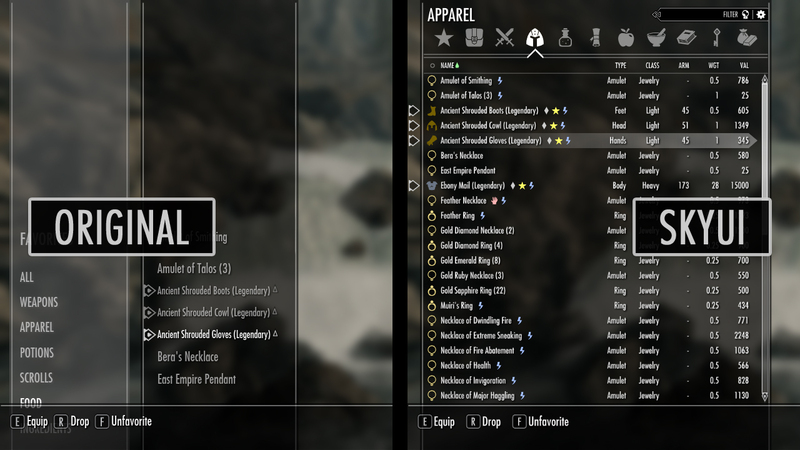 -Not having your Equipped Gear in your Inventory since their is a tab where you can see Equipped "Items" , it will actually save up storage in your Inventory, hell you don't see your underwear in your backpack while you're wearing them right? a simple gender change for like a 1k dragon crystals would be great. So we can look on witch gender the sets looks better and people dont have to create new accouns to have a other gender. So, there seems to be a rampant problem with AFK'rs in the 20-player Akriloth Raid(I recently ran into a Player who would run in, get downed, stay down until Akriloth was close to death on Phase 2, pick up loot, leave, repeat). My suggestion would be to have an internal timer in place; if you are downed but have not gotten up after about a minute, you will be kicked out of the raid/room & will have to wait 5-10min before you can join another dungeon party/raid again. It's not a perfect solution, but it should get rid of some of the leechers. I've reported the player(as have several others who noticed what they were doing), so hopefully they get banned soon. PLEASE USE THE ORIGINAL NINJA ARMOR FROM ADVENTURE QUEST! It can also be see in the AE minigame Ninja Shadow Adventure on Ebil Games. I also think it would be neat if his center cone blast animation represented the actual damage zone. You know, like a rocket launch. Can something be done about serverside hit detection and lag issues? In Akriloth, when you're lagging, you can 'dodge' an attack and still be within the damage zone. Thus you have to dodge earlier in order to be sure you won't be hit. When you're playing in a party as a melee character and the mage pulls a mob, often the mob will 'run in place,' ie it will theoretically be moving/have moved to it's proper location, however it appears to be in it's original location. It thus becomes impossible to attack for melee characters besides warrior spin. I don't know enough to know if it would be easier to repair the 'running in place' bug or to switch to clientside hit detection so we can attack it where it 'appears to be' for us. PC: Easier, more fluid movement would be nice as well. Solo'd Akriloth with no problem except for having to dodge his fire attacks, which was a bit tricky. PC/MOBILE(ANDRIOID&APPLE): Platform specific rares would also be cool to add. They don't have to over the top bulky and spiky, they could as simple as a hat that only Android users can get or a pet that only PC users can get. The new Ogreman boss is really fun experience seeing all those people fighting a massive HP sponge boss. If I'm honest, I don't like any of the new stuff besides the travel form from this event, but everyone seems to like the ears(no surprise there). Not sure if it's been mentioned before, but I think something that'd be nice to have are log in rewards. Stereotypical for a game like this, I know, but it's still a nice little feature if it's done correctly (rewards not too crap or op). Doesn't have to be anything crazy, just the typical things like various amounts of gold, potions, exp boosts, maybe a few DCs for each consecutive week (7th day, 14th, 21st, 28th) or something like that. Another thing that'd be nice to have, which I'm sure they'll add eventually, are crossover items/armors/classes if you bought the thing in their other games. i.e Dragon Lord armor/class for Dragonfable's Dragonlords, maybe some kind of futuristic thing for Star Captains (doubtful but still), a vintage/classic armor set or class for guardians of the original Adventure Quest game. Not sure what they could do for AQW or their other games though. Just some things that'd be nice to have.